As she assumes her new role, Long shares her thoughts on the big problems and questions facing education, and how the HGSE community can make a difference. 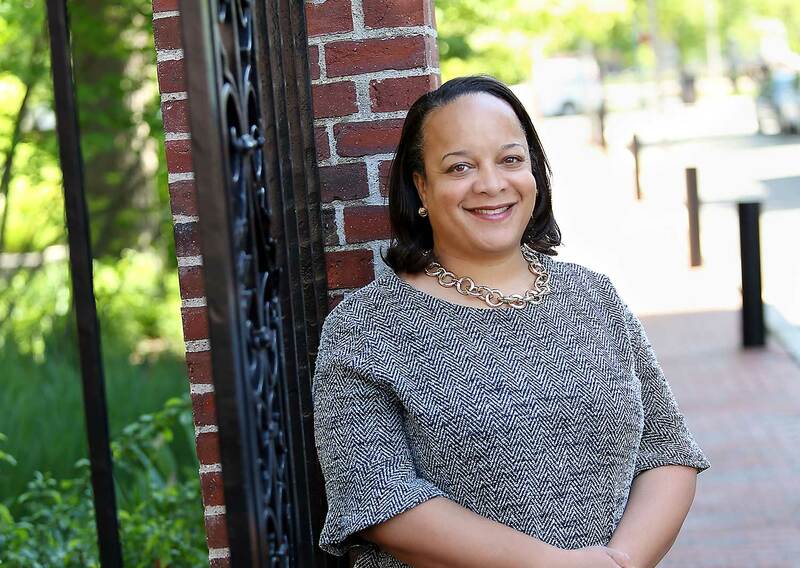 Bridget Terry Long began her appointment as the 12th dean of the Harvard Graduate School of Education today. In a recent conversation, Long shares her desire to focus on the big problems and questions facing education. She also reflects on how the job of dean is not done alone, but with an entire community striving to make a difference. As a longtime faculty member at HGSE, why did you feel it was important to take on the role of dean? What drew me to the deanship is what has kept me at Ed School for nearly two decades — the mission and the people. I care deeply about the HGSE community and know that our mission to improve the world through education is so important. Nothing is more motivating and sustaining. Being dean is also a way for me to work with a tremendous team of colleagues and focus on finding answers to big questions — not only supporting the work being done here but also highlighting the key problems and understandings about what we can do to solve them. In the coming years, I know there is so much HGSE has to contribute to the world, and I want to look back knowing that I did my best to support our transformational work. What are some of these big questions? Though my research has focused on older children and adults trying to access higher education, becoming a parent over a decade ago really pushed me to view everything about education with new eyes. I’ve thought a lot about what it takes for all children to grow and thrive from infanthood on up. The process of education is a lot about interacting with all sorts of people and structures, and students’ experiences and outcomes can vary widely depending on the degree of care, expertise, resources, and opportunities available. With a deeper sense of purpose and insight, my own research has grown and evolved over the years, and I question so many assumptions about what works, what does not work, and why. Ultimately, the big questions I’ve been asking focus on the many leaks along the educational pipeline. There are so many crucial points and decisions that families, students, schools, and communities have to make, and if we aren’t paying close attention, then we may fail to provide the appropriate resource or support. Too often something that is available in theory is not actually being used in practice because of a host of challenges. I want to know how we make the system work better by expanding the good practices and solutions we have identified, as well as push the frontier of research to learn how to improve education for all. And I wonder how we expand the reach of our best ideas, still acknowledging the diverse contexts and individuals who seek to better themselves through education. How will these questions drive your decision-making as dean? We are a mission-focused institution, and my role as dean is to support and advance our work towards that mission. Core to this is the question I’ve mentioned: How do we improve outcomes for students of all ages, colors, and contexts? At a more personal level, my work has also been motivated by issues of inequality and the challenges facing our most disadvantaged students. Therefore, I approach the deanship with our most vulnerable students constantly in mind. Many of my decisions will be focused on how we can leverage the talent, energy, and resources of HGSE, and the field more broadly, to support all students. How do you view the role of higher education in the quest for access and equity? Obviously, education does not end at grade 12. And we know that for most people, some education beyond high school is going to be needed to secure a well-paying job. Higher education also affords so many other benefits in terms of social development, health, and civic engagement. It is one of the very rare opportunities where students from all backgrounds and parts of the world can come together and learn from and with each other. That is vital in our increasingly diverse society. It’s also important to remember higher education’s essential role in the quest for access and equity. There are so many students who have been failed by the K–12 system. For these students, higher education can be a second (or third or fourth) chance. It gives everyone — from recent high school graduates to working adults — the opportunity to do everything from get a liberal arts education to hone very specific vocational skills. And when you invest in the postsecondary education of a parent, it has the power to create a positive feedback mechanism for an entire family. So really all aspects of education from early childhood to higher education are linked, and our colleges and universities are important parts of this process. What does it mean to serve as the first black female dean of HGSE? In many ways, it’s hard for me to comprehend the importance of this moment. I really see it reflected in the eyes of others. And I can easily imagine what my younger self would have felt witnessing this. I remember what it was like to be a first-year graduate student. I looked around and felt completely alone, both in terms of gender and race. But now, I’m joining the growing number of leaders who don’t look like the older, white men depicted in portraits around this institution. Now, this type of position is possible for all of us. So I do try to take the time to say: “I’m a person who has worked really hard and devoted myself to this field. If you are a person who’s working really hard and is also committed to this field, keep at it, and you are going to be here one day too.” My younger self would have been overjoyed and energized by a moment like this to dream about things that previously would have seemed unimaginable. Given the history of my family, I so wish my grandparents were still alive to see this. I’m so glad my parents have had the chance to enjoy the moment. They have really seen and lived the history of change. The constant struggle, the steps backward, the questions of whether my child will be treated with respect? So for them, it is seeing a reality I don’t know they dared to dream. Of course, I’m not the first female leader. I’m not the first black female leader. But at a place like Harvard, this is something special. I think anyone of any identity would feel this way, but I do take special joy in it.